For 58 years, HBI's strategic and transformative investments in some of Boston's most important historic buildings have stimulated investment by others and helped develop strong and vibrant urban neighborhoods. 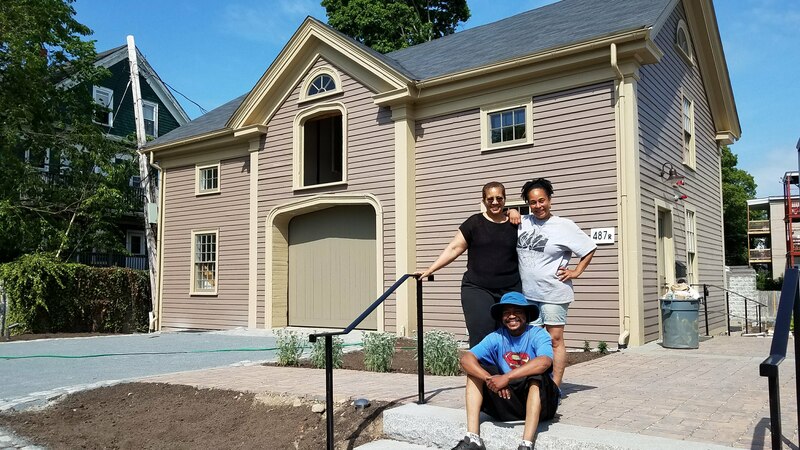 HBI's mission – to strengthen Boston's neighborhoods through historic preservation – has never been more important. But it is only with your generosity and support that HBI can meet the challenges ahead and preserve the rich character of Boston for generations to come. This year, when you donate $100 or more, we will send you a copy of our newly published book, Tales from the Old Corner, Celebrating 300 years by Susan Wilson. Born and raised in Boston, I want to donate to help preserve the childhood home of one of the greatest and influential people in my life. HBI makes the city better by restoring and reimaging properties with community partners. I am proud to support. Please direct my support to former ST. JAMES AFRICAN ORTHODOX CHURCH rehabilitation. I am actually interested in this being used for the African Orthodox Church on Fort Hill (Cedar St). Thanks. Hoping to see the restoration of the St. James African Orthodox Church! I am supporting the work of HIB throughout Boston, especially its restoration and renovation of the Saint James African Orthodox Church in Roxbury. I'm choosing to give on behalf of the work to save the former St. James Aftrican Orthodox Church at 50 Cedar Street in Roxbury MA.